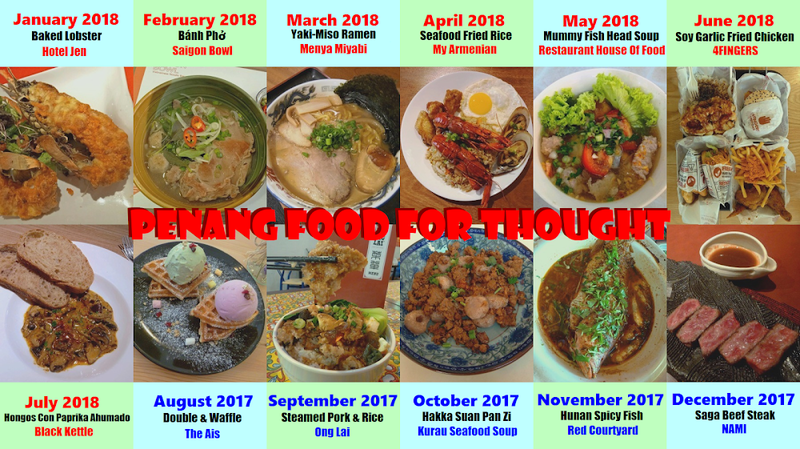 There is no shortage of dining options at Elit Avenue. 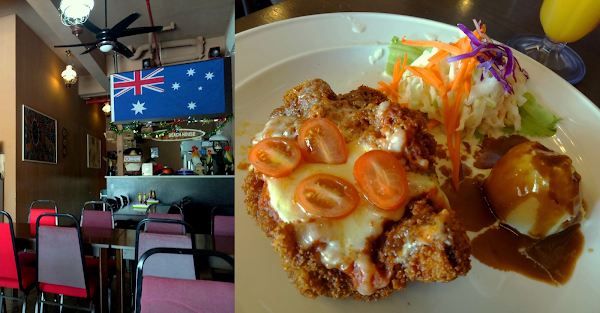 Today's lunch brings me to Miki Western Food. 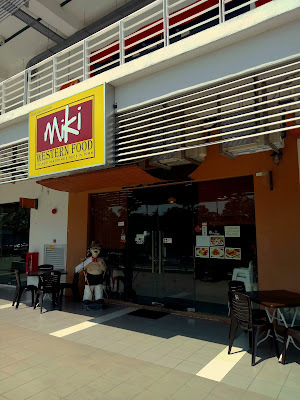 Despite the similar name, Miki Western Food is not related to Mikki Western Food in Sungai Nibong. 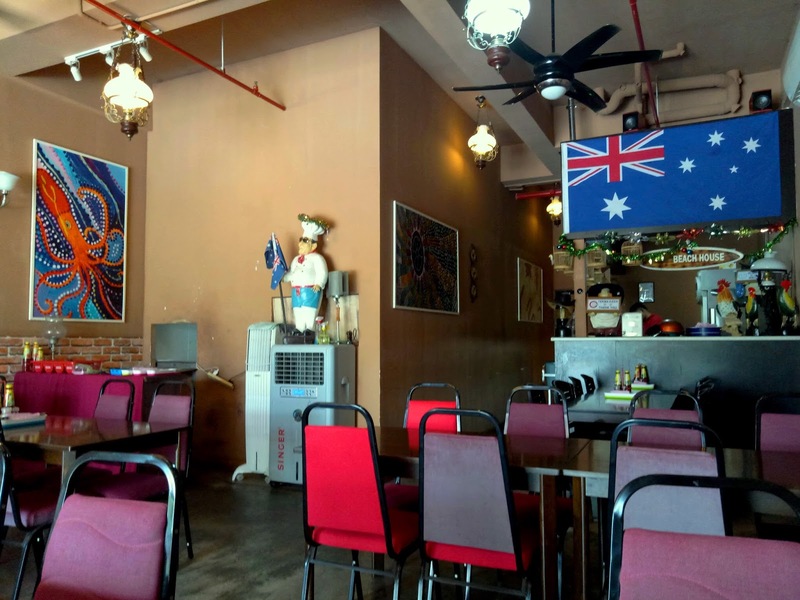 Since the kitchen and drinks bar collectively take up half the restaurant's floor space, the dining section is rather limited. The restaurant retains Australian decorations from the previous restaurant, Oz. I think this is quite misleading to customers. 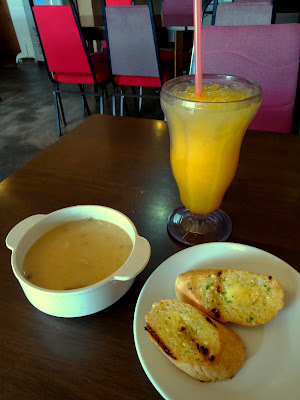 I started the meal with garlic bread and mushroom soup. I like the strong taste of garlic on the former. But for the latter, I feel that its taste leaves a great deal to be desired. Meanwhile, a glass of fruit punch is served as the drink. 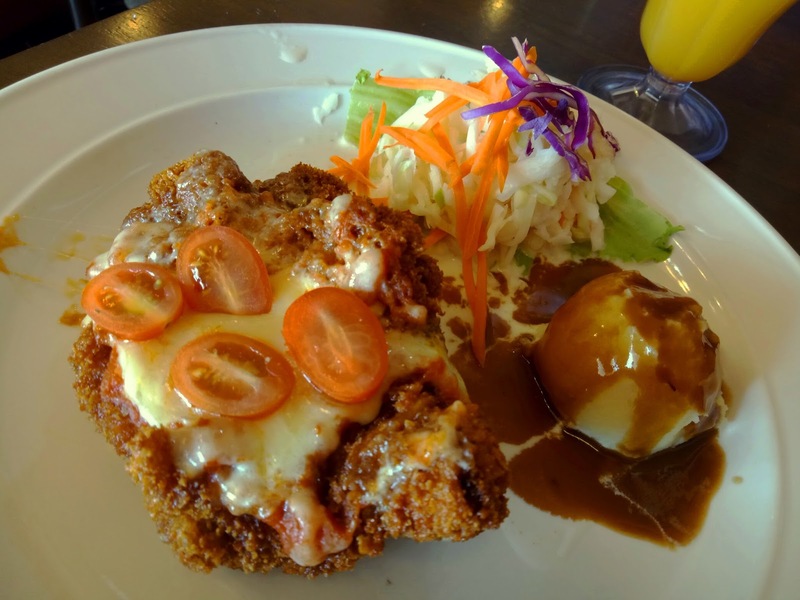 The Chicken Parmigiana (RM11.00) is covered with molten cheese and tomato coulis. I feel that the breading makes dish too dry in the mouth. Mashed potatoes and coleslaw are served on the side. 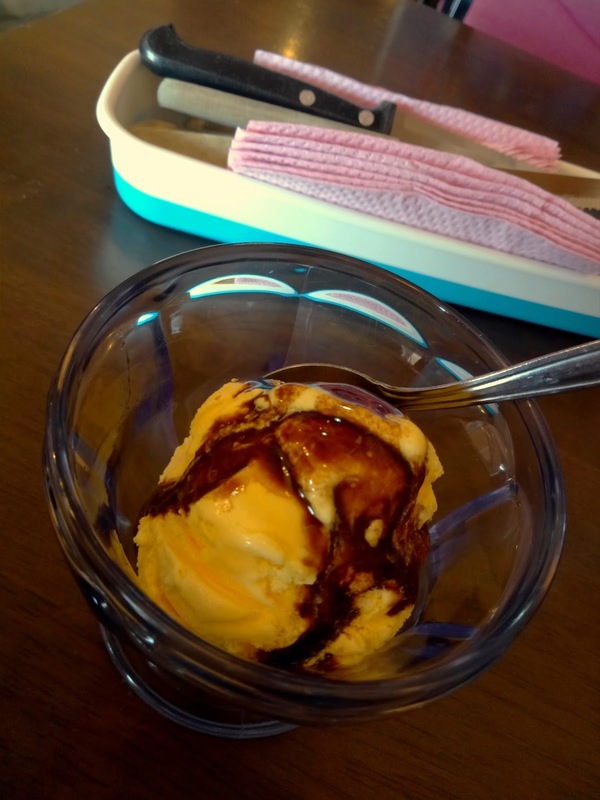 As for desserts, ice cream flavors are chocolate, vanilla, mango and strawberry. I opted for a scoop of mango ice cream. Although Miki Western Food claims to have the "most reasonable price in town", I feel that there are several similarly-priced Western restaurants in the area. Food taste is just mediocre at best. 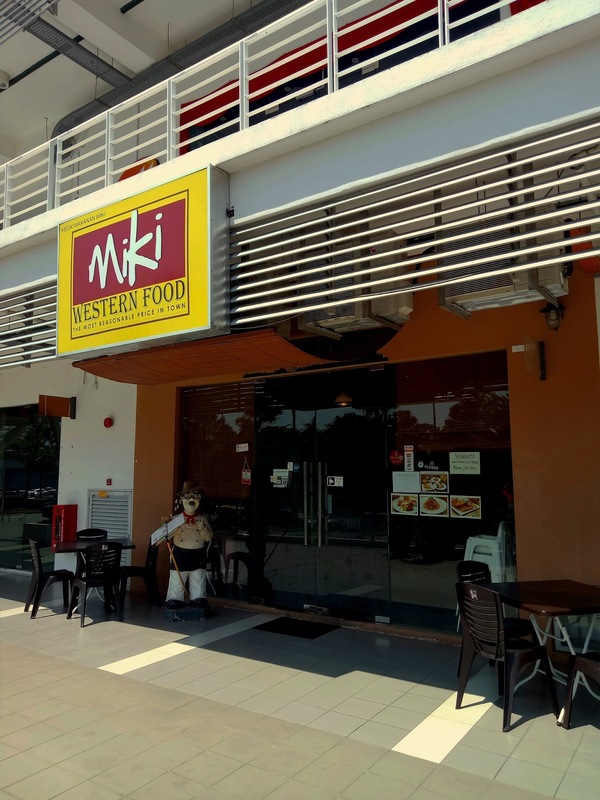 Miki Western Food does not serve pork.